Many cruise liners head for the ship terminal and harbor port of Reykjavik in Iceland. It’s a delightful city and a wonderful destination to spend one or two days. 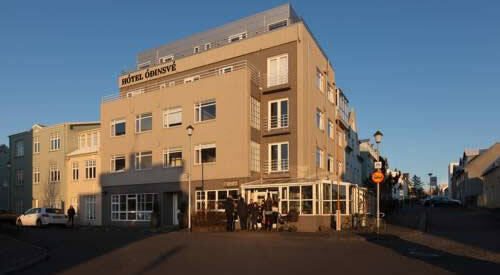 As part of your cruise vacation, why not book accommodation in one of the many hotels near the Reykjavik cruise port? There’s a good variety of hotels to choose from for an extended or short stay. 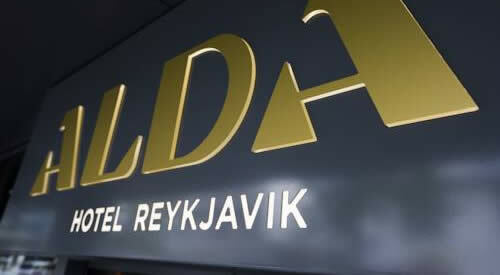 Reserve a hotel, B&B, a motel or a resort spa during your time in Iceland’s capital city. Vessels dock right in the Old Harbour or a few miles away from the town centre. Many cruise liners dock overnight especially during the busy months from late May to early October in the port of Reykjavik so passengers can stay in some of Iceland’s prestigious hotels. When it comes to accommodation in Reykjavik, you won’t be disappointed with what’s on offer. What could be better than staying in this charming city as part of your cruise holiday? Great value for money hotels offer the perfect base from which to explore what this city has to offer visitors. 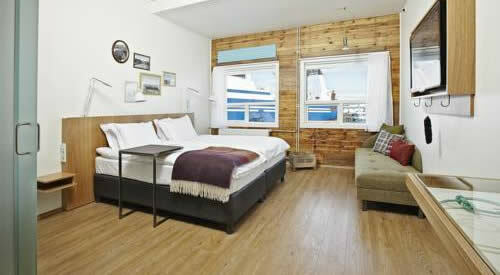 Situated in the city’s 101 harbour district, close to the marina. Downtown Reykjavik hotel, not far from the main shopping area. Located in the heart of the city on Laugavegur shopping street. Smaller vessels tie up in the centre of the Old Harbour, however most larger ships dock at a large quay (Skarfabakki pier) a few miles or km east of the city center (Sundahöfn harbour). On days when ships are in port, the city offers a free shuttle service to downtown. Cruiselines departing from the port include Windstar Cruises, Regent Seven Seas and Oceania Cruises. Europe’s northernmost and westernmost capital city has a personality of its own. As one of the world’s smallest capital cities, Reykjavik’s town center is small enough to see on foot. Alternatively hire a bike so you can pedal around the city’s sidewalk cafes and new seafront harbor promenade. Check out the National Museum or the Hallgrimskirkja (a stunning cathedral with an interesting tower) and enjoy a meal in the Perlan, a glass domed restaurant. Take a tour of the city on a hop-on hop-off double decker bus, it’s the ideal way to see Reykjavik’s shopping malls, cafes, bars, bistros, buildings along with the quaint harbor. After a day of exploring the picturesque streets, the ship terminal promenade and popular harbor, it’s good to know you can return to your comfortable accommodation that’s within easy reach of the ship port terminal. It’s recommended to reserve hotels in plenty of time of your visit. Accommodation at the city’s dry dock, ship port terminal and harbor is often snapped up. Iceland is renowned for first class lodging facilities whether you’re traveling to the country with family, friends, as a couple or on your own. Properties close to the ship harbor terminal provide guests with many amenities like swimming pools, restaurants, spas and free internet. For business travelers there are meeting facilities, business centers, concierge services as well as complimentary Wi-Fi throughout. It doesn’t matter whether you want to book accommodation for one night, a long weekend, midweek break or longer. This friendly city in Iceland has something for everyone. 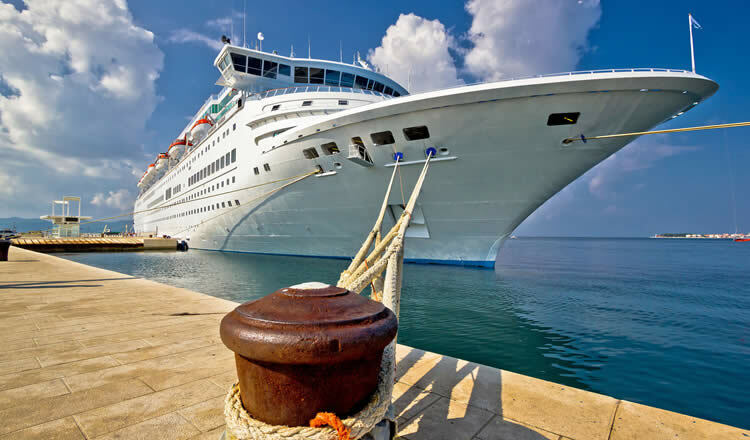 If you’re enjoying a cruise vacation, suitable accommodation can be found around the passenger port terminal so you won’t have far to go when returning to your ship in the harbor. Expect to find gourmet seafood restaurants dotted around the port. There’s nothing quite like eating freshly caught seafood that’s cooked by professional chefs. Keflavik International Airport (KEF) is the main gateway to the capital city and Iceland. The airport is located approx. 30mi or 50km away from downtown Reykjavik. You can take either the Fly Bus or Taxi to/from the airport to/from your hotel or port. Iceland’s currency is the Iceland Krona (ISK), Euros are accepted at many places as well. Icelandic is the official language, English is widely spoken. Reykjavik is in the Standard or Greenwich Mean Time Zone. It’s one hour earlier than Paris or Amsterdam and the same time as London. Plenty of accommodation can be found within easy reach of the port, as well as in ports of disembarkation. Numerous hotels are located near the port of Stockholm, hotels near Southampton cruise terminal or Copenhagen passenger terminals.